The manual series of rotatable desktop jacks are mainly used in advanced offices, hotels and homes, training rooms, and lecture rooms. 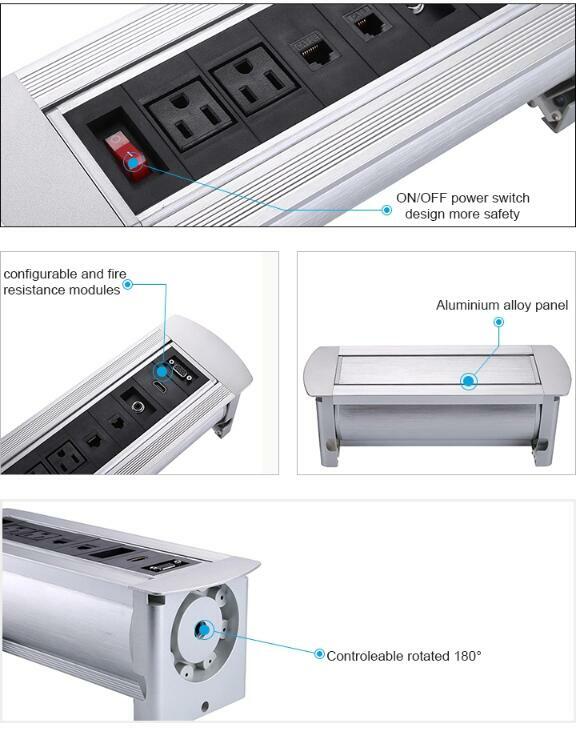 The desktop socket can be used with other installations around it. 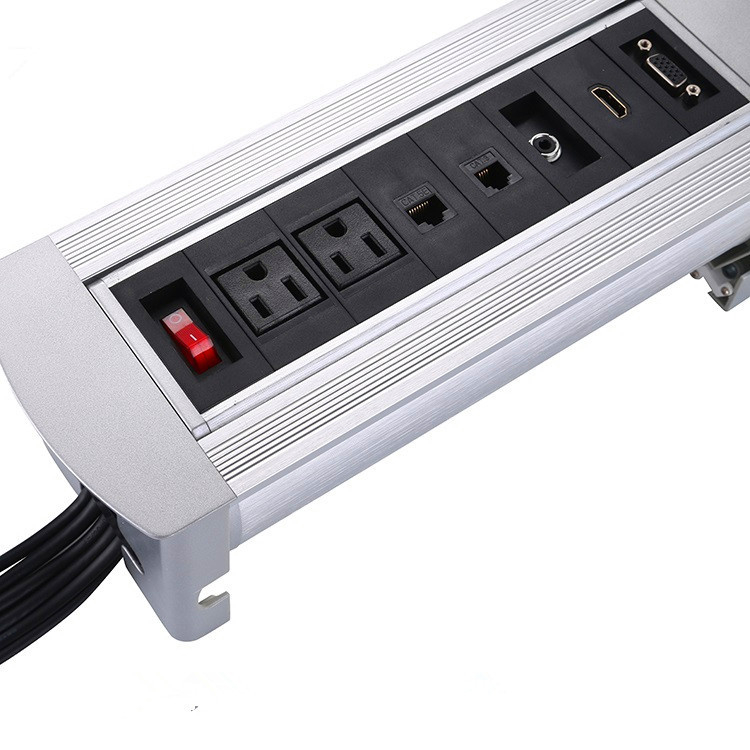 When powered by a desktop power outlet, the indicator lights up and the power supply begins to work. Press the up/down switch and all multi-function sockets can be rotated 180 degrees to any position as needed. If not used, all configurations on the desktop socket can be hidden under the desktop and automatically rotated to the desktop. 2. 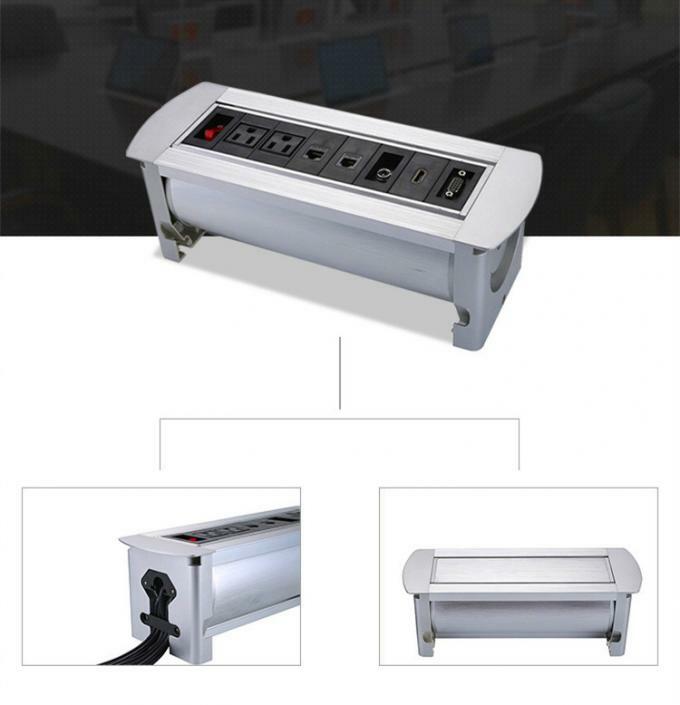 Anti-pinch function: when the tabletop socket is turning, if there is something come and stay on the connector, the socket will turn back to the last position. 3. Easy to use: two switches on the panel, open and closure. 4. When the tabletop socket is not being used, you can close it with the buttom on panel to keep it anti-dusty, and the table tiny.